What is Invent One (Main board)? Invent One board is a device (based on the ESP8266 chip set) that allows quick and easy prototyping of embedded systems. This device has a Wi-Fi Soc at its core therefore it enables easy prototyping on and off the web which allows it to be influential especially in IoT and cloud technologies. Arduino software is a tool used to design firmware for embedded systems whose main controller is the very popular AVR chip-based board called Arduino. Over the years, the software has grown to support varieties of chip-set. Why need an Arduino Software with Invent One? There are several ways of programming the Invent One, using Arduino software is by far the easiest. 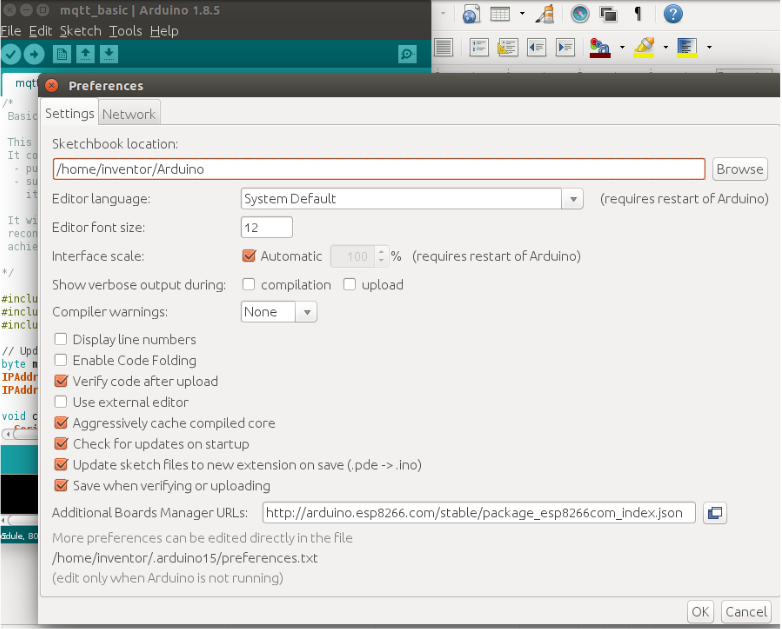 The Arduino software supports the development of the firmware for the Invent One. Sometimes, you may need to see whats coming in or going out from the UART pins of the Invent One. 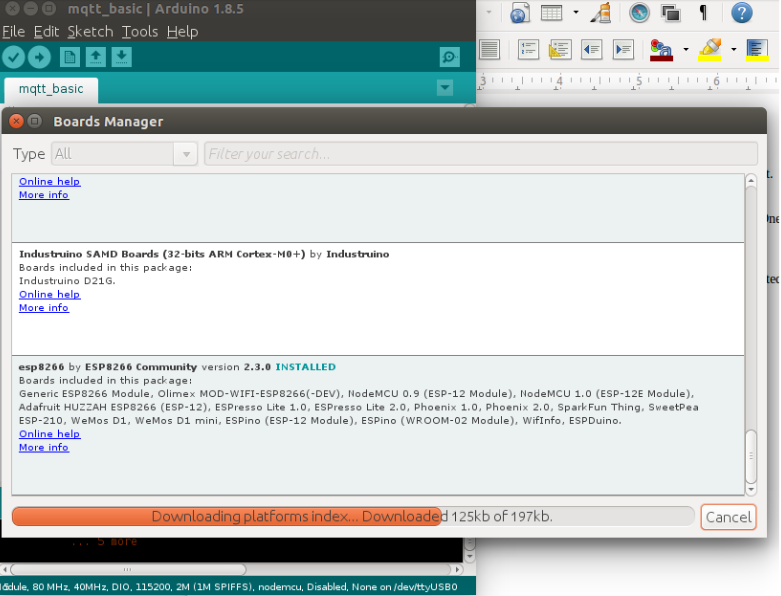 Using the Arduino software enables this seamlessly. Of all the embedded systems software programming tools out there, Arduino is by-far the most trusted due to its heavy community support. It is regularly updated and you are sure to always get answers from challenges you face while using the software. Libraries and Yes, a lot of Libraries!!! Arduino software support for the ESP8266 chip-set allow for open-source release of libraries that enables speedy and easy prototyping and development. There are libraries out there written by good folks for the ESP8266 chip-set and invariably for the Invent One. 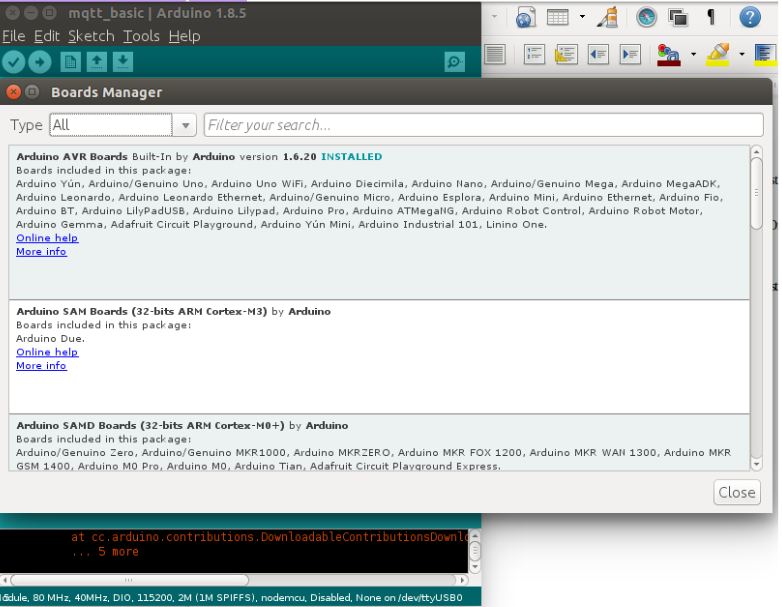 Include a web-link in the Arduino Preferences. Go to File –>Preferences and add http://arduino.esp8266.com/stable/package_esp8266com_index.json into the Additional Board Manager URLs (If you found a web-link already inside the box, just append the above web-link and make sure to add the delimiter &apos; ; &apos;). Go to Tools –-> Board –-> Board Manger to download the package you need to install in order to start tinkering with the Invent One main board. If you are in the right place, you would see an interface as depicted in the picture above. Wait for the download bar to complete and enter into the search box “esp8266”. You should get a result. Hover over the esp8266 searched result and an install button will show up. Click on the install button. When you are done, you should see an INSTALLED text on the esp8266 item.